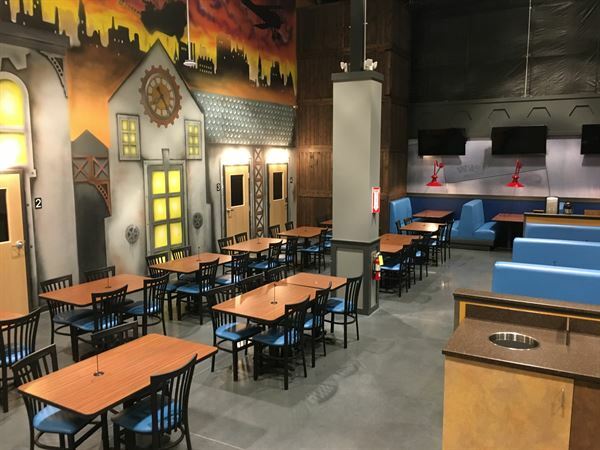 Host your event at Widgets Family Fun, our 15,000 square feet facility offers lots of space and multiple in-house attractions for kids and adults. We have party rooms available for rent or the entire facility. Our attractions include over 50 arcade and video games, mini bowling, laser frenzy, Ballocity climbing structure, and a two level laser tag arena. Our in-house Cafe can provide food or you can choose another catering service. We offer a fun and safe environment for all ages.